If you love gardening as much as we do, why not earn points every time you spend. As a ‘Garden Club’ member, we’ll reward you with many membership privileges. Earn 1 point for every £1.00 you spend in the garden centre. On joining, you will receive 500 points free of charge. When you have earned 100 points (value £1), you can start to redeem them at Fosseway Garden Centre against your purchases. You’ll find fantastic seasonal offers throughout the garden centre exclusively for our ‘Garden Club’ members. 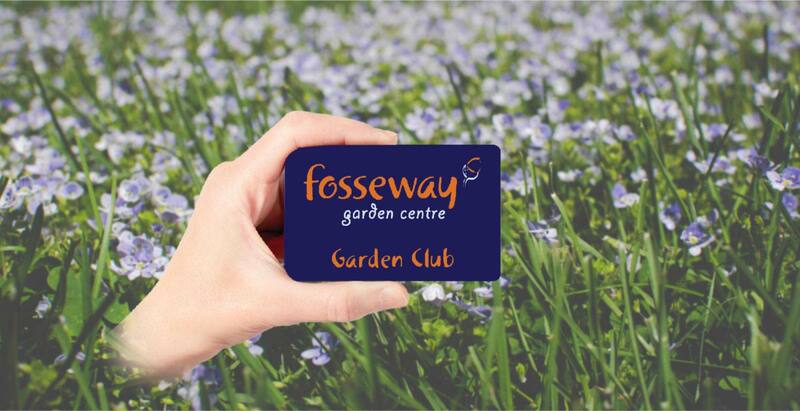 As a ‘Garden Club’ member you’ll receive invitations to special events and seasonal previews at Fosseway Garden Centre. It’s easy to join, and you can start earning points straight away. Simply ask a member of staff for a membership card form, complete it, and hand it back in at the till. Register on the day to ensure you start earning rewards immediately. Keep your membership card handy and remember to use it every time you shop with us. Alternatively complete the online form and we’ll post your new membership card to you. Note: By joining the scheme and providing your contact details you agree to Fosseway Garden Centre contacting you to inform you of exclusive offers and provide you with your rewards. We will not provide your personal data to any third party. Some restrictions apply – please read our full terms and conditions.